The TH-3270-UFM combines cutting edge, sleek design with the capacity to hold a display 143lb in weight out from the wall. Full motion capability comes from three pivot points that give you complete control over tilt, pan, swing, pull out and pivot. Such superior control with minimal effort is thanks to Smooth Glide technology and spring assisted tilting mechanisms. 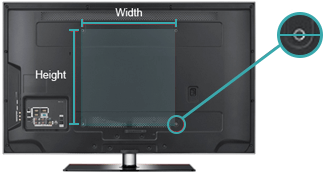 These innovative features support the full weight of your LED, LCD or Plasma display during adjustment, allowing one person to easily set the screen position for maximum viewing comfort. The die cast aluminum arm can extend out to 25" from the wall and the universal mounting hole pattern ensures this mount is compatible with a vast range of TVs. It comes pre- assembled, with a design that guarantees quick and easy installation. The display can be mounted in either portrait or landscape mode.